Documentarian Morgan Neville enjoyed ample praise for his heartfelt Won’t You Be My Neighbor, last year’s lovely documentary about Fred “Mr.” Rogers. Now, Neville is shifting his lens to another modern guru in Rick Rubin, the eclectic, beloved producer and Def Jam Records co-founder. Unlike Neville’s last effort, his Rubin project—tentatively titled Shangri-La, the name of the famed recording studio Rubin owns in Malibu—will unfold as a docuseries to be aired on Showtime. As Rolling Stone reports, however, the series will see a “work-in-progress” cut air at the SXSW Festival in March. A finished version will premiere on Showtime later this year. 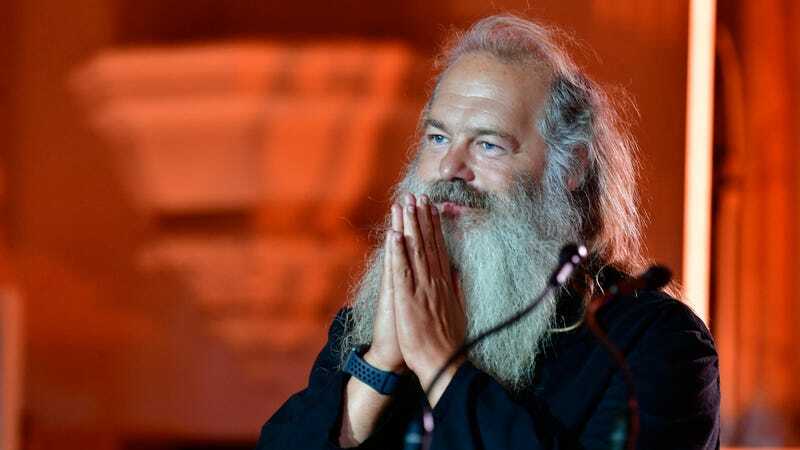 Called an “an intimate look at the creative process through the lens of legendary music producer Rick Rubin” in press materials, the series will likely chronicle his pioneering work with hip-hop acts like Public Enemy, Beastie Boys, and Run-DMC, as well as the prolific genre hopping he did in his later career. Rubin’s worked with everyone from Adele to Kanye West to Black Sabbath to, most recently, the Smashing Pumpkins, who saw last year’s Shiny And Oh So Bright, Vol. 1 produced by Rubin. The producer’s career took on an even greater dimension when, in the ‘90s, he teamed with Johnny Cash for the American Recordings, the likes of which offered a spare, powerful swan song for the ailing musician.